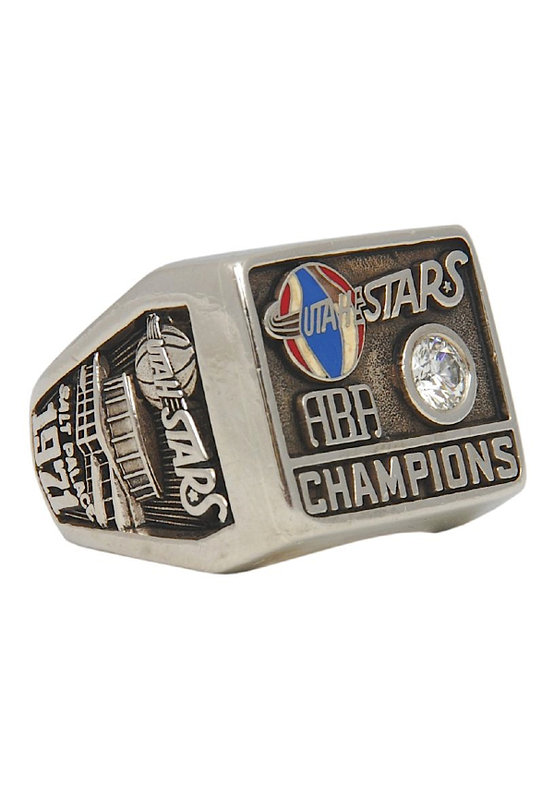 This size 11, 10k white gold player’s ring weighs 33 grams. 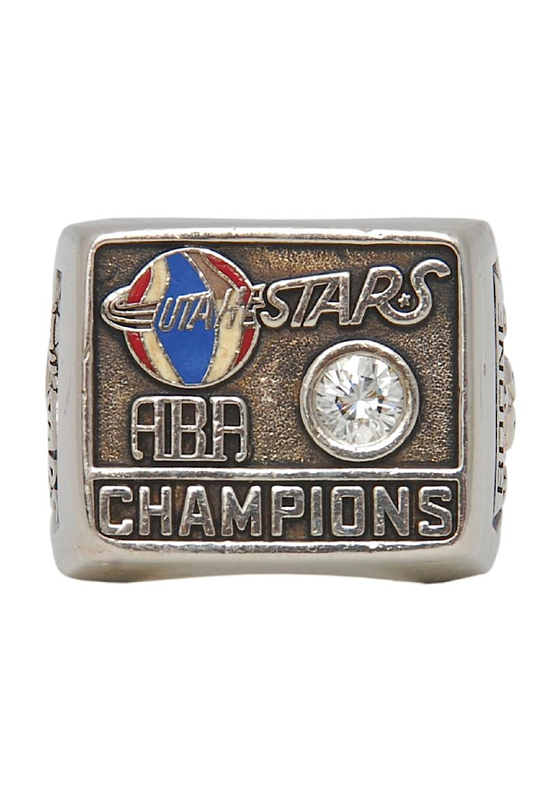 The top panel reads “UTAH STARS ABA CHAMPIONS” and features a red, white and blue enameled Utah Stars logo and a .40-carat round-cut diamond. 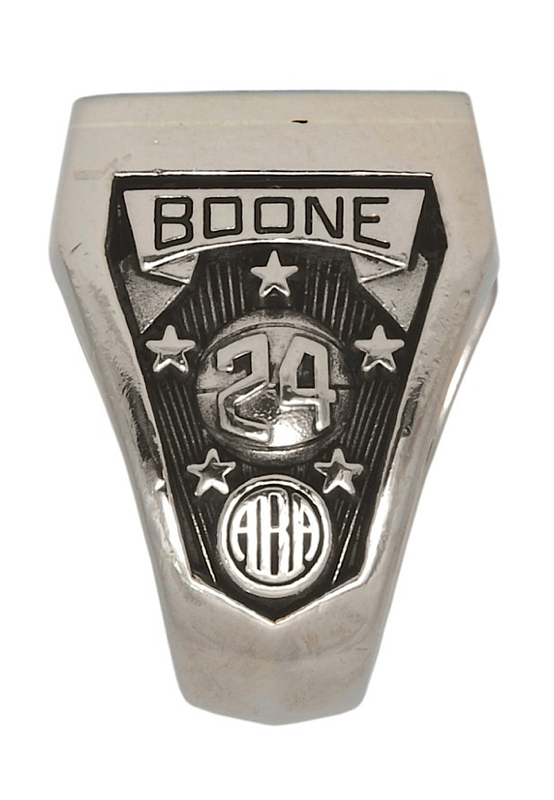 The right panel features a banner engraved with the player name “BOONE” and a casted image of a basketball with the player number “24” above the ABA logo. The left panel features a Utah Stars logo as well as a casted image of the Salt Palace and “1971”. The inside of the ring is stamped “BALFOUR 10K”. The ring is in NRMT condition and is accompanied by a LOA from Ron Boone. Notes: In their fourth season in the ABA, the Los Angeles Stars, formerly the Anaheim Amigos, were sold to Colorado cable TV pioneer Bill Daniels, who moved the team to Salt Lake City as the Utah Stars. Aside from veteran Zelmo Beaty, the Stars roster was filled with a young core of talent, including Ron Boone who was acquired by Utah midway through the 1970-71 season. Boone was an instant contributor to the Stars averaging 15.8 points and 5.8 rebounds per game in 44 regular season appearances. Boone’s skills would continue to shine in the ‘71 playoffs where he upped his averages to 17.2 points, 6.1 rebounds and 5.2 assists per game. In the first round of the playoffs Utah rolled over Boone’s former team, the Dallas Chaparrals, sweeping the series in four games. 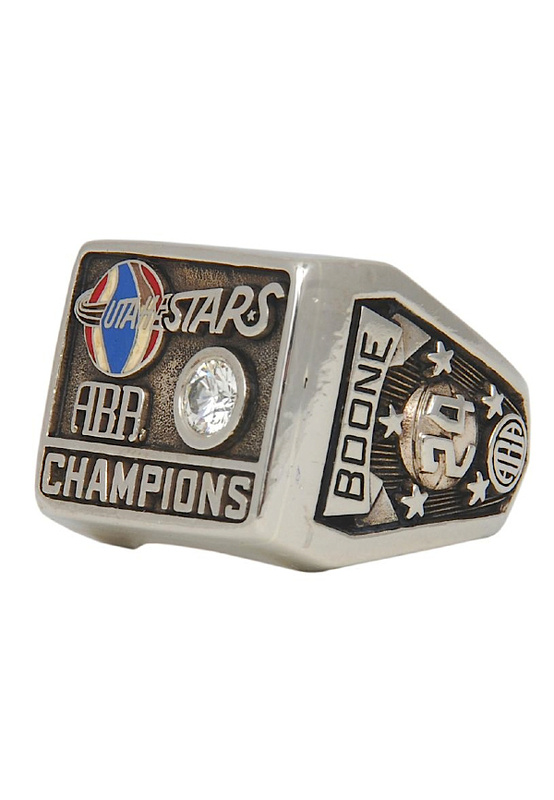 The Division Finals would pit Utah against the Indiana Pacers, reigning ABA Champions after having defeated the Stars the year before in the 1970 ABA Finals. The brutal series would go to seven games after the Pacers denied the Stars a chance to wrap up the series at home in Game 6. The Stars flew to Indiana for Game 7 and escaped with a remarkable 108-101 win to send Utah to the ABA Finals to face the Kentucky Colonels. The Finals would prove to be another hard-fought battle with the series going to seven games. With a 131-121 victory in Game 7, the Stars won the ABA Championship in front of their home crowd at the Salt Palace. 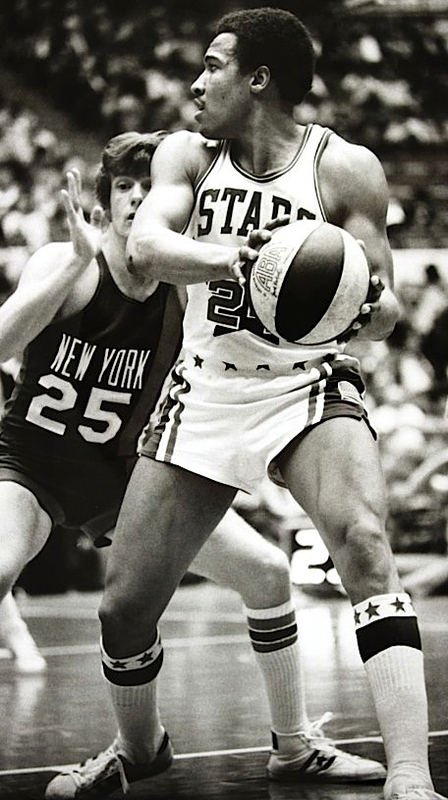 After his trade to Utah during the 1970-71 season, Ron Boone would play in every single Stars game until the franchise’s demise in December 1975. Boone ranks 3rd all-time in scoring in the ABA with 12,153 points and has worked in broadcasting for the Utah Jazz for the last 15 years.